It's that time of year again! The Dillard's handbag trade-in event is right around the corner, & I'm lusting after a new fall purse! I love that Dillard's is my one stop shop for all my favorite handbag brands, including Michael Kors, Coach, Furla, and Pour la Victoire! I recently picked up this ocelot printed Coach wristlet & a gray Michael Kors backpack (both were in heavy rotation during my recent trip to D.C. as seen on Instagram here, here & here). I have long been a fan of both brands & their quality products, & am especially excited for this new chapter in the legacy of Coach since Stuart Vevers has brought his new vision to the iconic brand! Local Nashville ladies, check out the Dillard's handbag trade in event, starting with their kick off party this Thursday (tonight)! 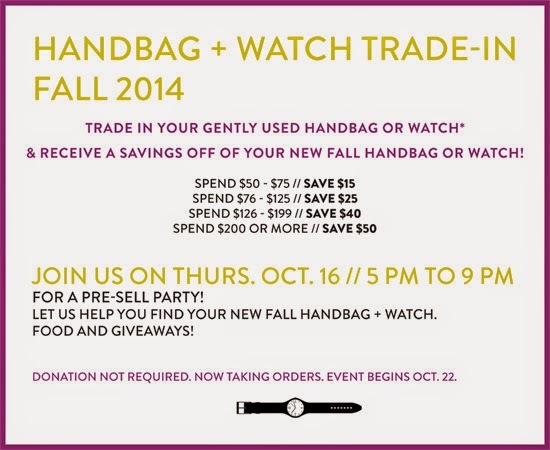 Bring a bag to donate, & get up to $50 off a new fall handbag. All donated bags will be given to Magadalene House (Thistle Farms is their amazing social enterprise, learn more about it here). Everyone else, check out the Fall bag trends I'm crushing on & shop my top picks below! Oh & watches are included in the trade-in event too! The new Kate Spade & Michael Kors watches are Fall are blowing my mind! How can a girl even choose?? See you at the Dillard's handbag trade-in pre event Thursday! Let me know in the comments if I can look forward to seeing you tonight! That sounds like such a cool concept, I don't think anywhere near here does this! I think the fellas need an event like this, although I think I'd be one of the only ones attending. Sounds like a ton of fun! Officially adding anything Coach Ocelot AND the multi-sparkly watch to my Christmas list! Love them both!! 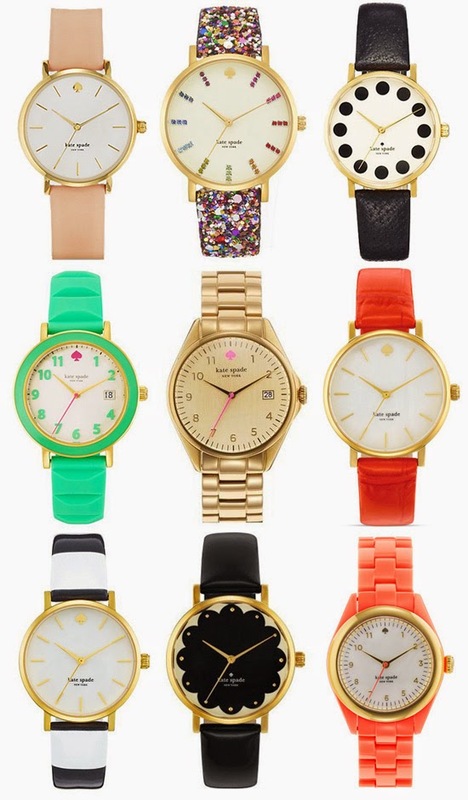 Kate Spade always has the cutest watches! SO obsessed with your bag! love this! The best present I ever got my father was a leather clutch like bag that he literally uses every day. Men get to appreciate a well made bag too! The Coach Ocelot print is pretty much perfect! I have a Ben Minkoff pouch, that I couldn't live without.